Are apple desserts your thing? 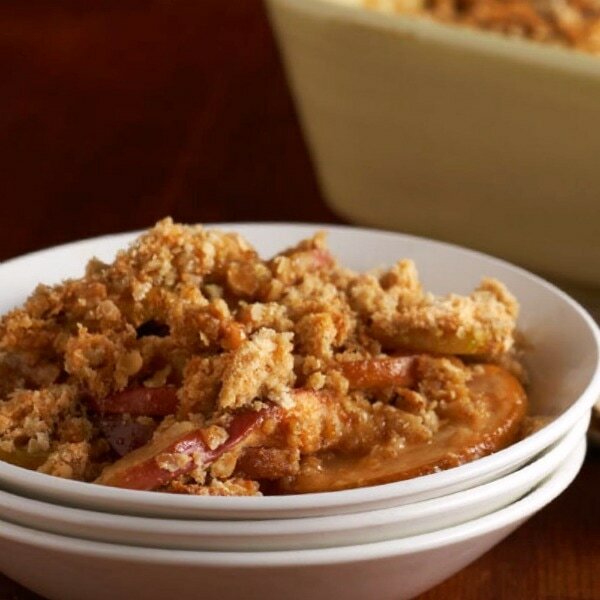 Check out our recipes for Nutty Apple Crisp and Apple Slice Pancakes. Grease the bottom and sides of a square pan with nonstick spray or a small amount of butter. Combine margarine, oatmeal, flour, brown sugar, and cinnamon in a medium-sized bowl. Using two knives, cut the margarine into the mixture until it looks like small crumbs. Sprinkle the mixture over the top of the apples. Note: For different variations, try other fruits like cherries, pears, peaches, or plums.